When you work in a small office space, you want to maximize space. In the same way that multifunctional furniture has taken over the world of interior design, multifunctional printers have taken over the business world as well. Printers now need to print, copy, and scan all at once, eliminating the need for multiple devices. Even personal users have started using multifunctional printers at home. With that said, let's take a look at some of the best printer scanner copier tools currently on the market. 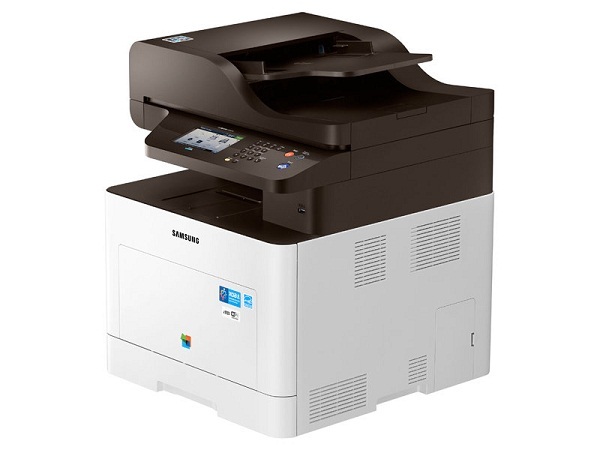 As an all-in-one color laser printer, the ProXpress C3060FW is best suited for a small or micro office. This printer offers great speed and solid features, but the output quality is really what stands out. You can print marketing materials without any problems, and the quality will always be exceptional. In addition, the printer comes with a 50-sheet reversing automatic document feeder. How does it work? The RADF scans one side of the document, flips it over, and scans the other. The result is slower than duplex scanners, but it still works well. With a price tag of $529 the Dell H825cdw certainly gets the job done. The biggest advantage is single pass and two-sided scanning, with PCL and PostScript drivers included. Standard connectivity options like Wi-Fi are there, but you can also scan and print from cloud-based services. The graphics are excellent, but the photo quality is not as good. However, this is to be expected that from a laser printer. 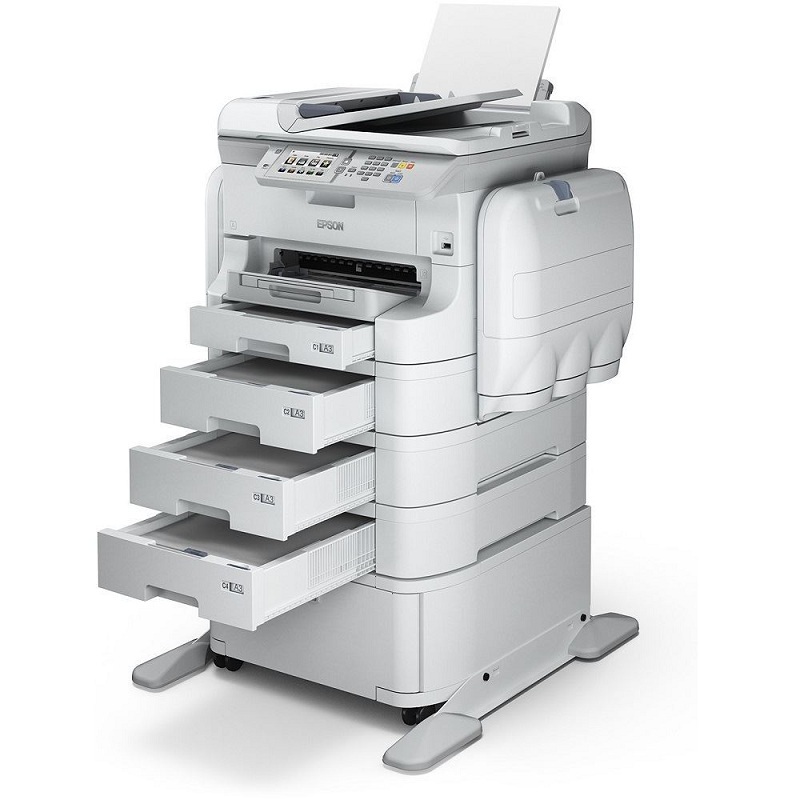 Its features are excellent for medium to heavy duty printing in a small office space. The speed is 19 pages per minute on the default duplex printing mode. This is the "workhorse" multifunctional printer you need. 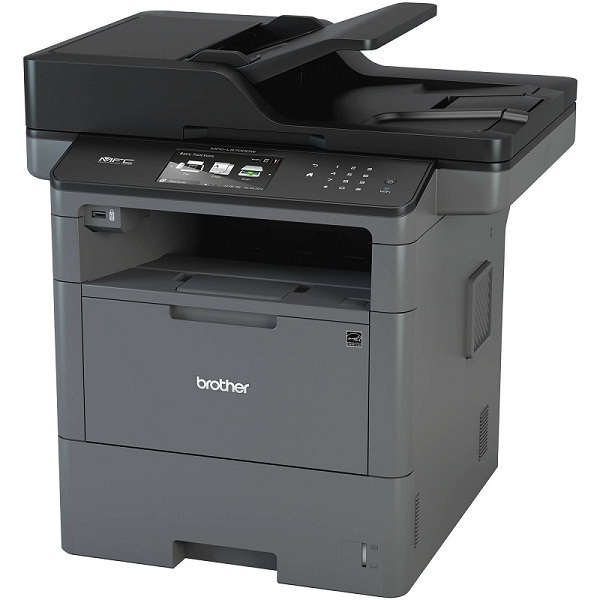 With a speed of 47 pages per minute, this Brother printer is great for medium or some larger office spaces. The price of $599 is justified when you take a look at all of its capabilities. It has a strong feature set, and the printer comes with a wide range of connection options. The graphics output, however, is less than optimal. If you need to print PowerPaint presentations, this printer might not be the best option. Connectivity options include Wi-Fi, Wi-Fi direct, Ethernet, and USB. 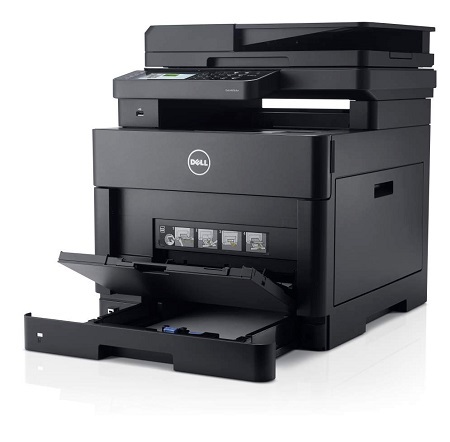 But the speed is what will make this printer the best option for your office. The first page is printed within just 6 seconds. With a price tag of $429, the HP Pro MFP M277dw is the cheapest printer on the list. But that doesn't make it the lowest quality printer. It is all about preferences. And the HP has fast speed and high quality text and graphics output. The downside is that the paper capacity is set at just 150 sheets. It also has great connectivity options. You can connect through wired and wireless networks, and you can also use NFC and cloud services. Mobile printing is supported as well. 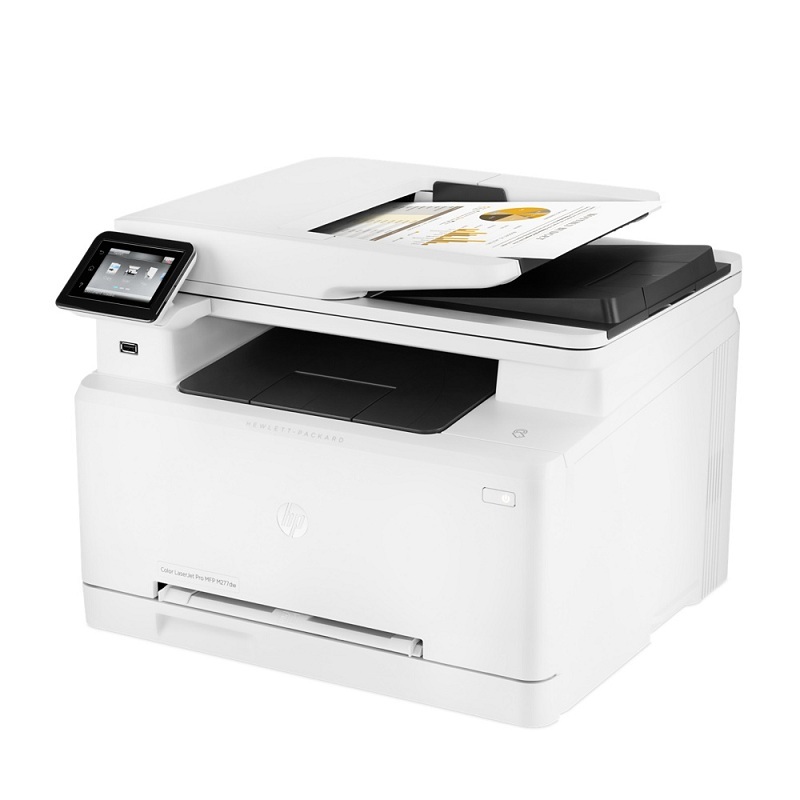 When you connect the printer to an internet network, you can take advantage of the HP Web apps, which makes the difference between a good and great printer. Connecting to the web allows you to print websites easily. The printer speed is 19 pages per minute for both color and black and white pages. In contrast, here we have the most expensive printer on the list. With a price tag of $1,499, the Epson Pro WF-8590 is hardly a small office or personal use printer. And the price tag is certainly high for an inkjet printer. But where this printer excels is print size. You can use it to print tabloid-sized documents. And no matter the size, the image quality stays top-notch as well. For all the capabilities it offers, the Epson printer is actually good value. PCL and PostScript drivers are supported, and you can even connect via Wi-Fi direct. The paper capacity is set at 330 sheets, 80 of which go to the multipurpose feeder. The maximum capacity can be set at 1,830 sheets when you add three 500-sheet trays. The main tray fits tabloid to A3 size paper, while the multipurpose feeder can fit up to 13x19-inch paper. In addition, the multipurpose feeder can print banners up to 13 x 19 inches. Convert any document into a fully searchable and editable PDF document. You can also convert PDF to other file formats. Protect your documents with password encryption. This will ensure your documents are safe from any unauthorized access. Digitally sign documents with your own digital signature, making them legally binding. Edit documents with a wide range of editing tools. Use annotation tools to add comments, sticky notes, highlights, and more. Simplify your documents when it comes to review and collaboration. Merge several documents into one large PDF file.